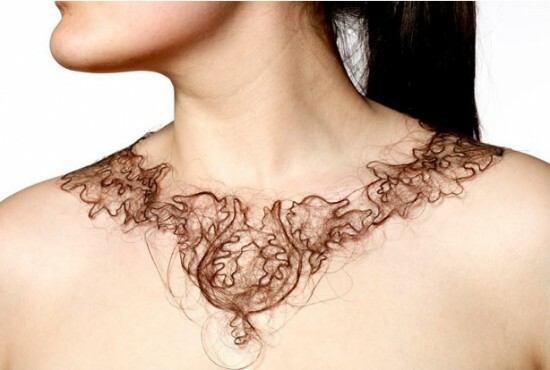 Kerry Howley an art student from Cambrige created these STUNNING Hair art necklaces from hair cut from one of her mothers friends...Recalling Victorian Hair Art as well as Damask wallpaper....These amazingly delicate works of wearable art took hours to make...but well worth it....The are just incredibly Beautiful!!!! Here are images of the 5 she created!!!! "I Wanna Be Where the BOYS Are...."
I AM the girl with the most cake!!!! "We Gravely Read the Stones......."
Paco Peregrin and his Beautiful Monsters!!! Time After Time I still Love Cyndi!!!!! ".....I want to ride it where I like...."